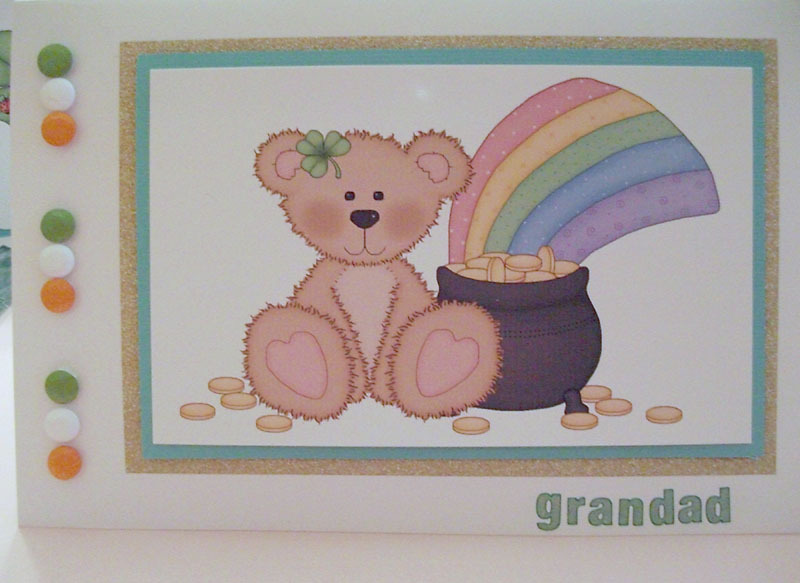 Photos/scans of cards, scrapbooking, quilts etc. made with my graphics by creative and imaginative visitors. Thank you so much for allowing me to post your creations! Contributions are more than welcome. Click on 'Contact me' in the menu above to email me your pictures. (Please include a note saying that you allow me to post the photos here.) I can't wait to see what you have come up with! For copyright reasons I can't post pictures where the work of other artists is showing. And sorry, no Word files and other digital creations. You're welcome to use the computer to create, but I want to show the printed results, so this is for scans and photos of tangible crafts. Thanks for understanding! 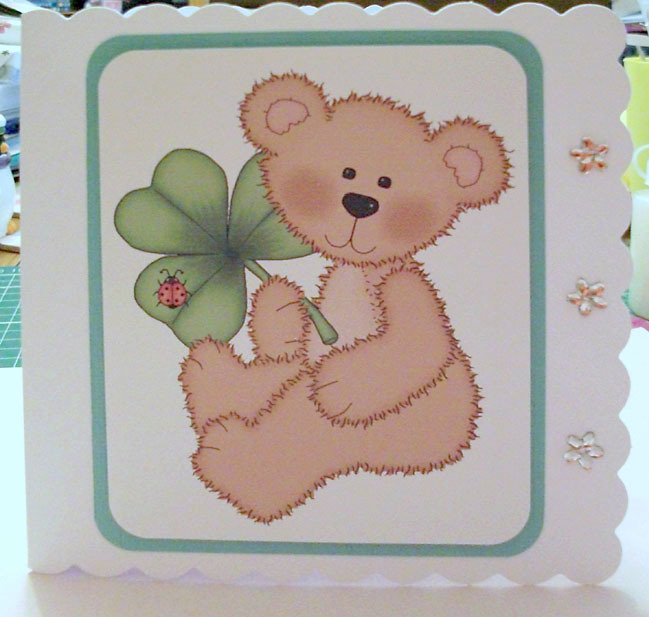 Two sweet St. Patrick's day cards by Debbie Collins. She used graphics from CC28: St. Patrick's day.